Find out how to choose the right doctor and cosmetic clinic in Perth with a interest in cosmetic medicine. When it comes to your body and especially your face, finding a professional who can help you with your goals and trust is a big deal. Just like choosing a personal trainer, a doctor or a dentist, the person who looks after your skin should be a qualified doctor who is thorough, reliable and experienced, and who understands what you want. At Dermedica, we treat every patient’s skin concerns and goals differently. Everyone is unique, so we don’t believe that there is a one-face-fits-all way to treat cosmetic procedures and treatments. We use our professional training, years of experience and understanding of a variety of different face shapes and skin types to identify what is going to be best for you. Looking for a Perth cosmetic clinic? Here’s how to find out if you’re working with the right professional to address your skin concerns. Dentists, nurses and beauticians may have some level of knowledge to treat your concerns, but are they experts? Putting your face in just anyone’s hands is risky. Not only is it an area that requires specific, detailed and well-rounded knowledge, it represents so much of your confidence and self-worth. When considering who you’re going to visit for treatments, you should always seek out the most qualified person possible. The wealth of knowledge and focused understanding a of an experienced doctor can provide will give you an exceptional customer experience and outstanding results. For anything that requires a laser, injection, or peel — like deep-set wrinkles, frown lines, acne scarring, or pigmentation — opting for a skin doctor is a safe and results-driven way to ensure you get tailored and safe treatment. Before you consider booking an appointment, it’s a good idea to check out the website of the place you’re thinking of visiting. Look for certifications and details on what the person’s main focus area is and what they specialise in. A doctor who focuses on specific treatments like wrinkle relaxers, lasers or dermal fillers will have more experience than a doctor, dentist or nurse who generalises in any number of different areas. 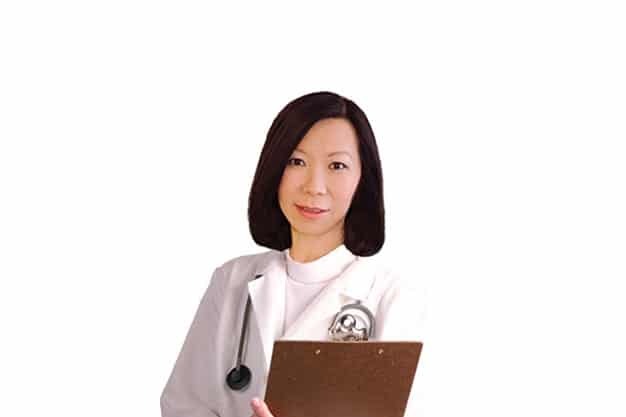 Dermedica’s Dr Joanna Teh has extensive training including Fellowships in Cosmetic Medicine from the Cosmetic Physician College of Australasia and Australasian College of Aesthetic Medicine. Dr Teh also regularly attends conferences and seminars to make sure she is up-to-date with the latest and most effective cosmetic treatments. Thanks to Dr Teh’s years of experience and developed eye for beauty and balance, patients receive a level of care and specialisation that is hard to match. Before you commit to any cosmetic procedures, make sure you book a consultation. A good doctor will always take the time to meet you so they can get to know your face and have a deeper understanding of your concerns. When you go in for your consultation, give your focusing on an idea of why you’re there and listen to their suggestions. Listening to your cosmetic doctor give recommendations on the kind of treatment they think will be most beneficial is a great way to get a feel for if they’re the right fit for you. While you think you might need injections or fillers to fix a skin concern of yours, a skin doctor may recommend an alternative non-surgical treatment option. From their answers and advice, you’ll be able to get a sense of their aesthetic and their style. You’ll also quickly know if you feel comfortable putting your face in their hands. The easiest way to address any concern you have is to visit someone who has extensive experience in the kind of procedures you’re looking at. See how many times your doctor has performed the treatment you’re seeking; the more, the better. Ask to see pictures of patients who have similar face shapes to you or had the same concerns as you; this is a great way to get a sense of the doctor’s capabilities in the areas you want to address. Finally, make sure you establish who will actually be performing the treatment. Depending on what you’re having done, you’ll want to know if a doctor is performing the procedure themselves. To find the right doctor for your treatments and skin concerns, book a consultation with Dr Teh at Dermedica, at one of Perth’s leading cosmetic clinics.